Welcome to Advanced Dental Centre. We are a family, cosmetic and restorative dental practice located at Clarence Park (just south of the CBD), which is convenient for all centrally located suburbs including Edwardstown, Kings Park, Malvern, Unley, Goodwood and Forestville. 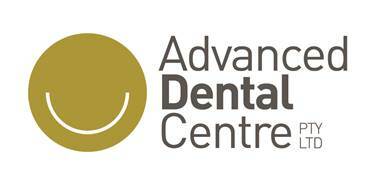 Here at Advanced Dental Centre we pride ourselves on providing best-practice care of the teeth with minimal discomfort. Our team of dentists, hygienists, dental nurses and administrative staff is headed by Dr Karl Scarpin, BDS (Adel. ), MRACDS, Post. Grad. Dip.Clin. Dent. (Oral Implants) Syd. Of course, we have many people travelling from all over Adelaide for our cosmetic dentistry and for the fact that we are open on Saturdays, our dental clinic is very attractive for people with busy work schedules. Our team includes clinicians trained in all the modern dentistry techniques, from general dental care, cosmetic procedures to replacing teeth that are missing or failing. We even offer intravenous sedation – “Sleep Dentistry” to help the most anxious of patients, one of only a few Dentists in Adelaide to offer this. We begin with a consultation in which we thoroughly examine your teeth and gums. This will determine if you have any issues that need immediate attention, and also allow us to recommend changes to your oral hygiene routine. We use photos and x-rays at your examination which we us to help you understand our findings. We will then provide you with a treatment plan, laying out the stages of your treatment in a clearly understandable sequence and including a written estimate of the fees. And as always, it’s recommended to visit the dentist once every 6 months to prevent dental issues from becoming worse and ultimately costly.